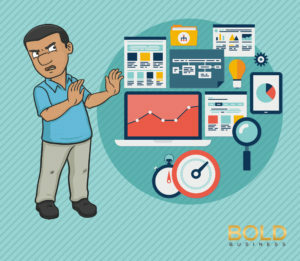 Risks of Adopting New Technology Causes Agony for Businesses? Business pays a lot of lip service to innovation. Entire industries portray themselves as bold leaders, chasing the vanguard of progress into a fabulous bright future. What many bold innovators know is that almost nothing could be further from the truth. Many business leaders and entire industries are extremely risk averse. As Bill Clough, CEO of CUI Global, explains in the video accompanying this article, new technologies are often rejected, simply because there seems to be little incentive to break the mold and take a risk. Clough is an expert in the energy industry, specifically natural gas. Natural gas varies in quality, and needs to be measured for its composition and purity to assign value. For 60 years the standard tool to do so was an old-style gas chromatograph. 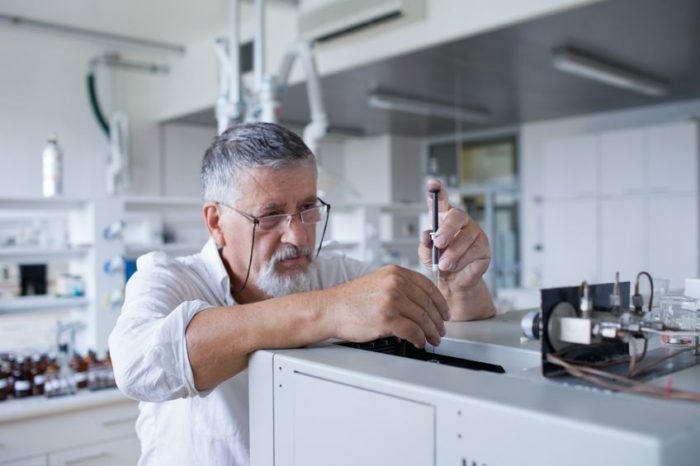 There is no way to describe the gas chromatograph as cutting edge technology, in its current 21st century form it barely varies from a half century ago. Spotting a device like the gas chromatograph on a gas field should be about as rare as coming across an IBM Selectric Typewriter in a modern office. But, Clough found that replacing those old devices, which were expensive to buy, expensive to maintain, and not very accurate, was the last thing that any gas engineer was interested in. As he worked toward making a bold impact, the forces of inertia barred his way. This isn’t just a problem with the gas and oil industry, or legacy industries in general. It turns out that for all of the talk of innovation, most industries are very conservative and risk averse. 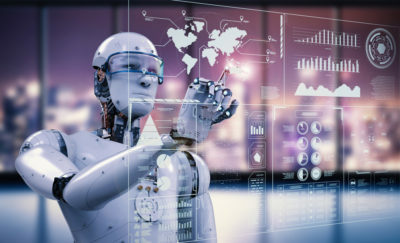 And it isn’t just the risk that comes from the new product or technology, many businesses are most worried when it comes to how humans will interact with the technology. This is obvious enough in the case of customer facing technology. Companies like McDonald’s, Walmart, and Chase proceed very cautiously when it comes to changing customer experiences. But, it is equally true of B2B and industrial companies, for somewhat different reasons. In the case of consumer-facing companies, it is paramount that the consumer experience be seamless and that confusion is kept to an absolute minimum. Shoppers simply don’t part with their money if the process is confusing. In the case of B2B, departments and individuals rarely have any reason to rock the boat. It is easy for them to order the same item that they have always used in the past, without having to defend their position before a board or supervisor. But, choosing a new product or process requires personal risk and a lot of work and time to justify a new procedure to the top brass. Even if that procedure saves money, it will cost the department that initiates the change time in terms of manpower and resources. If everything works great, it can make a career. But if any part of the implementation goes wrong, every single person in the chain knows exactly who to blame. Many managers choose to keep their heads down and stay on the path of the tried and true. Thus, it took years for Clough’s company to take off. And, in fact, European energy companies have been far more receptive than American producers. It was only dogged persistence, innovation to move beyond the shores of the United States, and a complete change of the business model that allowed the new device to gain a foothold in the gas industry. Once established, it will seem to many outsiders as if it was an instant success. But, the truth will always remain that it took a decade for the industry to adopt a cheaper, more accurate and easier to use device. It would be wonderful to believe that Clough’s experience was unusual. But, any truly innovative leader can tell dozens of stories about the same sort of resistance to change at every point in the business process. Rather than embrace innovation, most of us naturally seek the status quo. It’s human nature and it may be time to acknowledge it, so that we can learn to embrace risk and change. Improvements cannot exist without occasional failure. We need to accept failure and learn to move on, in order to enjoy the possibility of a better future that can only come through innovation and new technology. To make America more productive and profitable, we need to unleash the bold thinkers and risk takers, and let bold ideas change the world. Food Production: Where Does Our Food Really Come From? 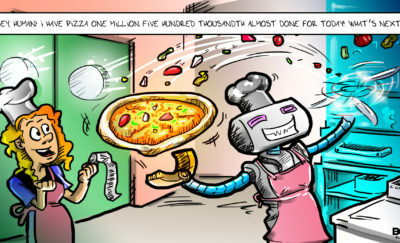 Is Zume Robot Pizza the Next Quick Serve Restaurant Breakthrough?